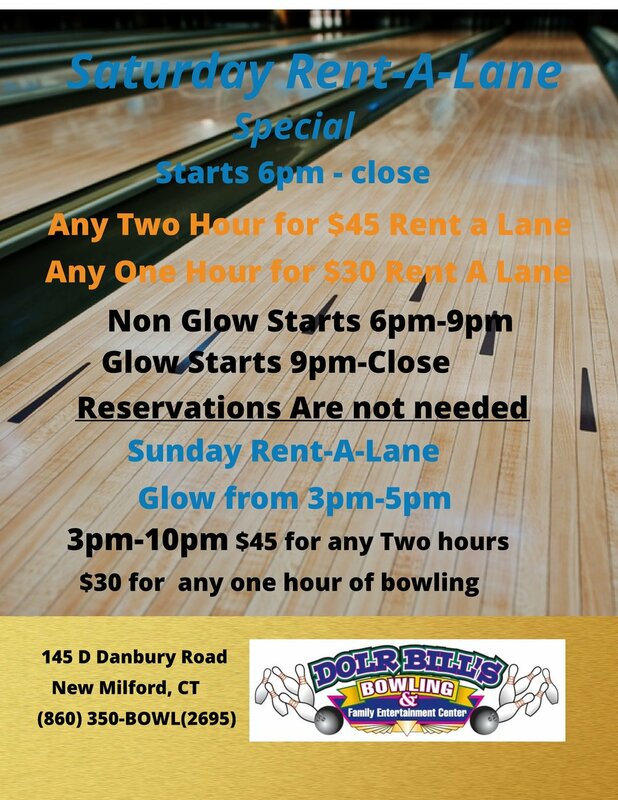 Bowl at specific times for huge savings! Take your break to start the week. Unlimited games, shoe rentals along with food & beverage specials. Take a trip into the past on Tuesday nights. Bowlers pay just $1 per person per game and shoes are just $1 per pair. Rock out to today's top hits while paying 80's prices! Play for time and pay by the lane. Unlimited games and shoe rentals for up to 6 bowlers per lane. As always we will be playing today's hits along side your requests!